This season, our designers considered the fast-paced world of today and the tranquil, personal space that a home can offer within this environment. Reflecting on the refined elegance of two unique cultures, they found that these two styles coordinated beautifully in the home to create a space of relaxation. 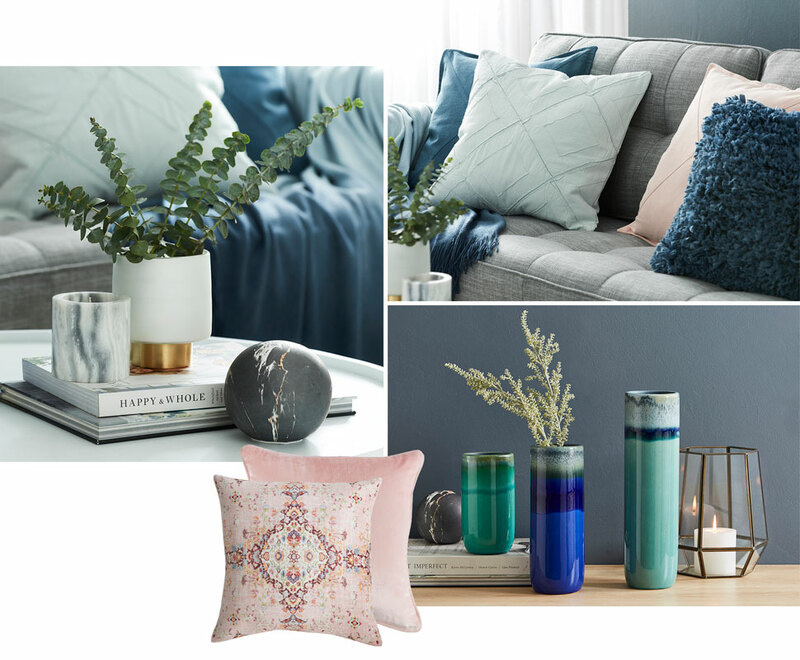 Discover our mood boards below to see how colour, pattern and texture work together seamlessly to create a sophisticated look this season. The desire to create a calming and relaxing space separate from the busy outside world has become increasingly important when considering home styling. The collection seamlessly blends the clean lines of Scandinavian design with the considered simplicity of Japanese style to create a welcome space of serenity. A muted colour palette of soft, chalky tones allows a focus on co-ordinating different textures within the collection. Cool grey offers a neutral backdrop for shadowy pinks & dusty blues to accent the space while tones of deep ink bring balance to the look. Blurring the lines of indoor and outdoor continues to be popular throughout the Spring/Summer season, as fresh greenery and natural elements breathe life into the home. A carefully considered collection of textures allow for soft velvets, pure linen, matte glazes and cotton canvas to work together seamlessly. Love the look? 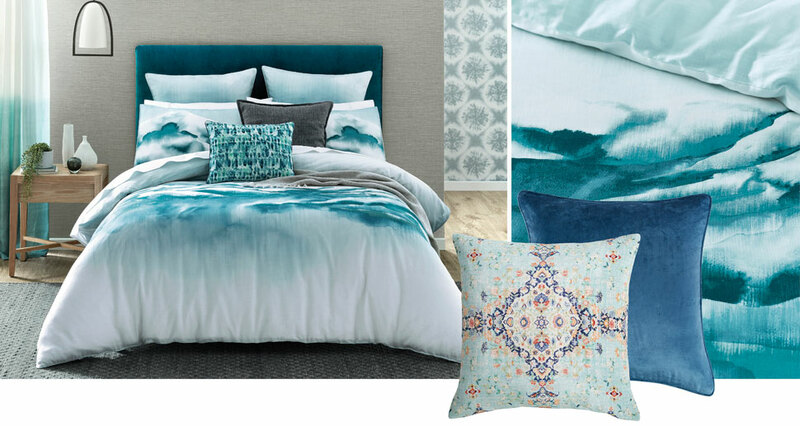 Watch out for our Zen Serenity range arriving in stores and online soon!